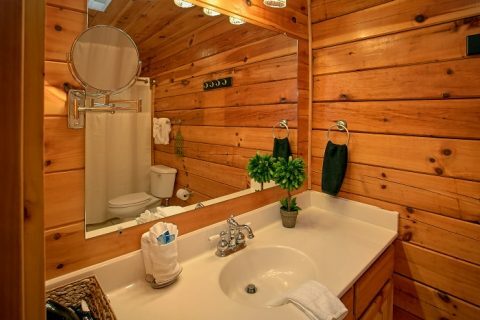 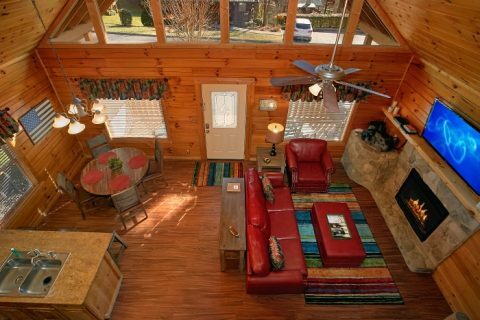 2-Bedroom Cabin Rental Near Gatlinburg - "Southern Comfort"
Come enjoy this 2-bedroom cabin rental near Gatlinburg and Dollywood, "Southern Comfort!" 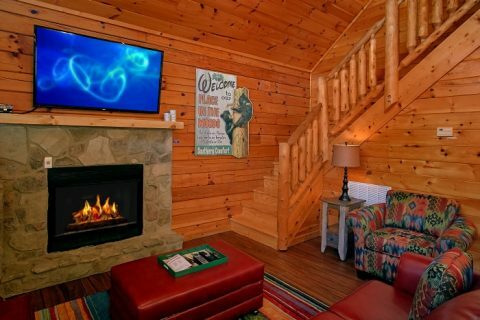 With swimming pool access, a comfortable interior, and a convenient location, this is sure to be one of your most memorable Tennessee Smoky Mountains vacations yet! 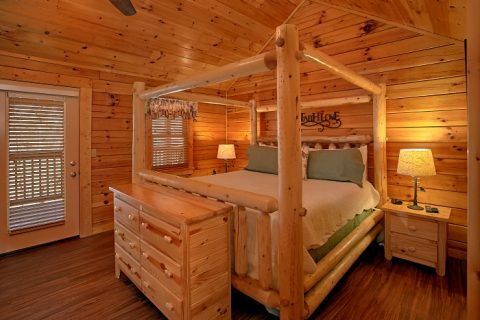 "Southern Comfort" rests in Cabins at the Crossing Resort just minutes from Dollywood with easy access to Downtown Gatlinburg. 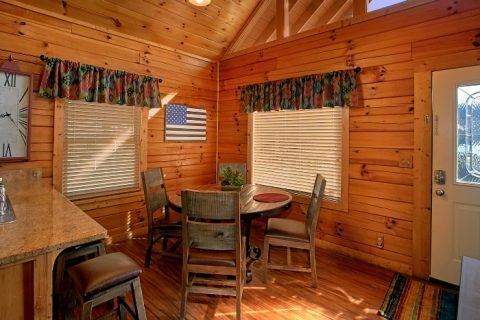 Your cabin's location allows the family to experience some of the area's best attractions, outlet malls, and restaurants with ease. 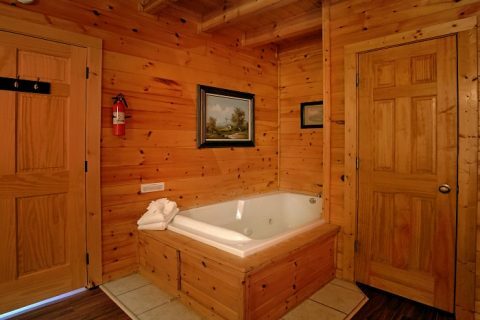 Cabins at the Crossing Resort offers summertime swimming pool access with free poolside WiFi, a pool house with changing rooms, picnic tables, and a children’s playground nearby. 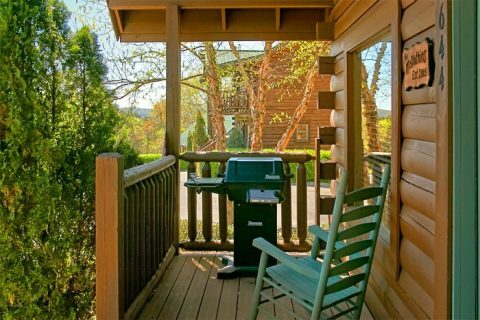 This family-friendly resort has off-street parking, wide, paved streets, and professional landscaping that complements this resort's Smoky Mountains setting. 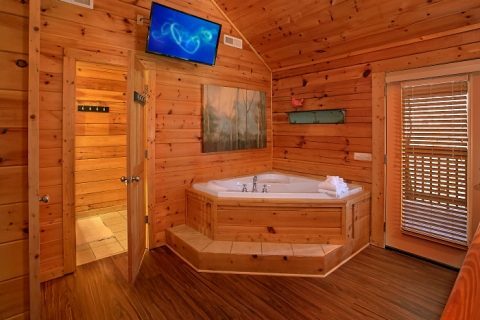 Your cabin near Gatlinburg accommodates up to 6 guests with 2 king bedrooms, which both offer an in-room jacuzzi tub for added relaxation. 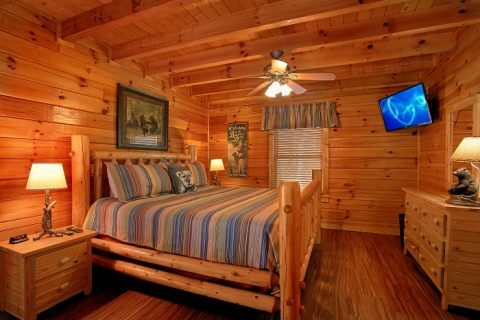 There's also wireless Internet for the family to enjoy streaming movies and games anywhere in the cabin. 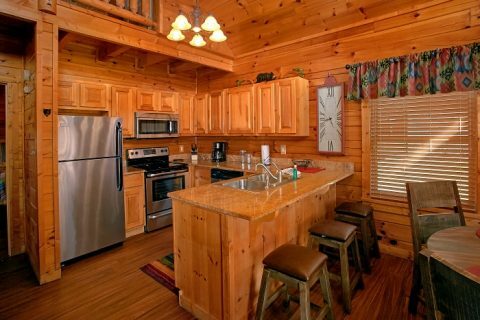 The open kitchen with plenty of cabinet space and counter space makes snacks to holiday meals a breeze, while the gas grill is perfect for a family cookout. 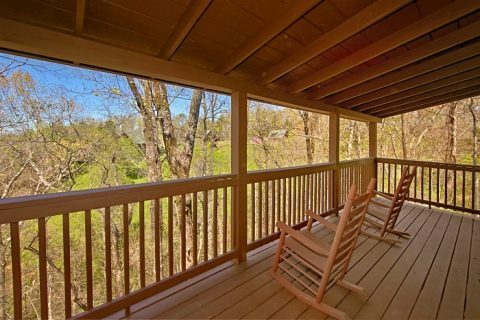 With so much to see and do while visiting the Smoky Mountains area, you're bound to need a break from all the adventures. 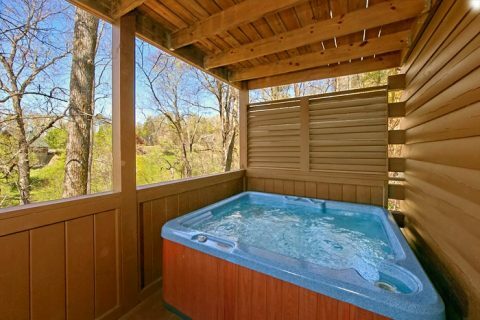 Relaxation waits in the warm waters of your cabin's year-round hot tub. 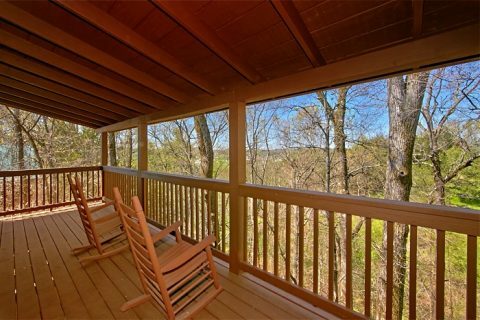 Unwind by swinging on your cabin's porch swing or reclining in a rocking chair. 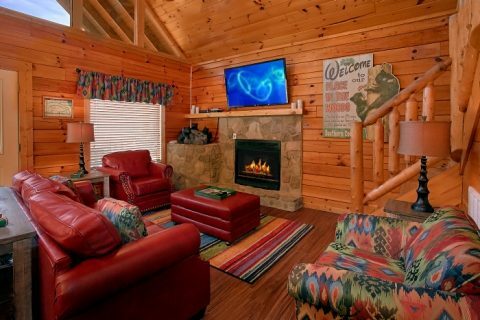 During chilly winter months, visitors can enjoy the added relaxation of the warm glow coming from your cabin's gas log fireplace. 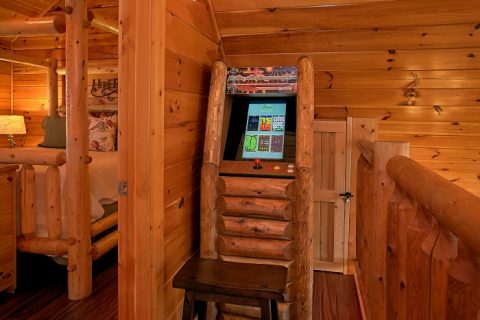 For a fun night in your cabin, enjoy watching a movie on the flat-screen television in the living room or try to set the high score on your cabin's arcade game! 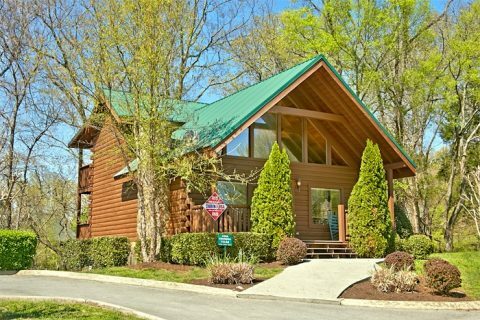 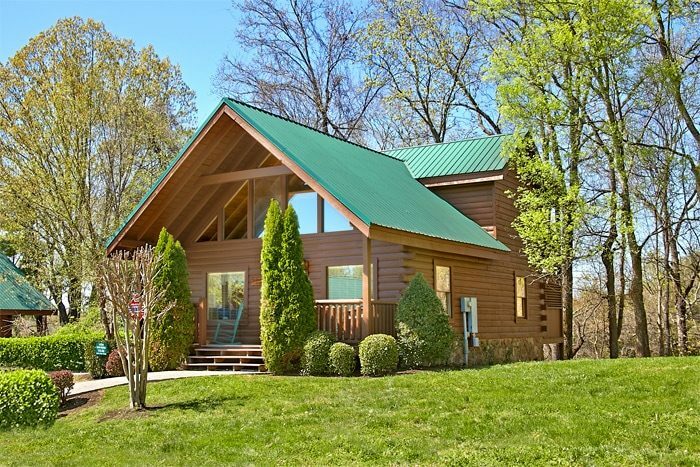 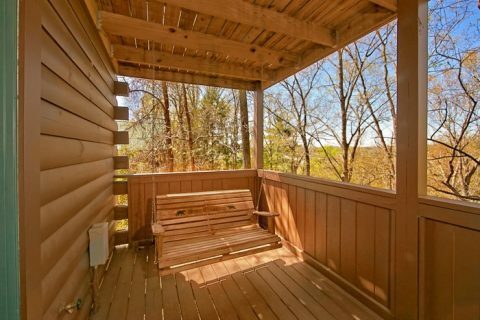 Book this beautiful 2-bedroom cabin rental near Gatlinburg and Dollywood in the Smoky Mountains online with Cabins USA Gatlinburg and SAVE more with your immediate Online Cabin Special!